One of the things that make Bourbon my favorite spirit is the combination of culinary companions that pair so well with it. Country ham, chocolates, nuts of every sort and even cheese go great with the brown water of the gods. That’s why I revisited pairing which two-finger pour of Bourbon goes best with your favorite Girl Scout Cookie. 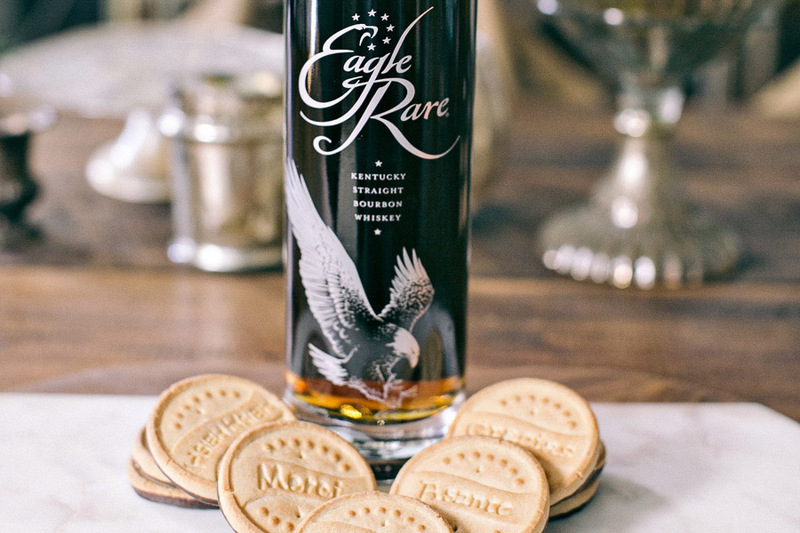 With the help of Victor Sizemore (a well-rounded cooking badass) and a few hours of hard R&D, we were able to break down the flavor characteristics and composition of each cookie to pair it with what we felt was the perfect Bourbon. While one pairing remained excellent from the pairing I did a few years ago, we felt like these new pairings bring out the best flavors of both products. We encourage you to experiment with your own combinations and let us know what you think. Tag The Bourbon Review with your pictures and pairings on Twitter (@GoBourbon), on Instagram (@BourbonReview) and Facebook (TheBourbonReview). This May-December relationship has long-term potential. “This lights up the Bourbon,” a taster commented. 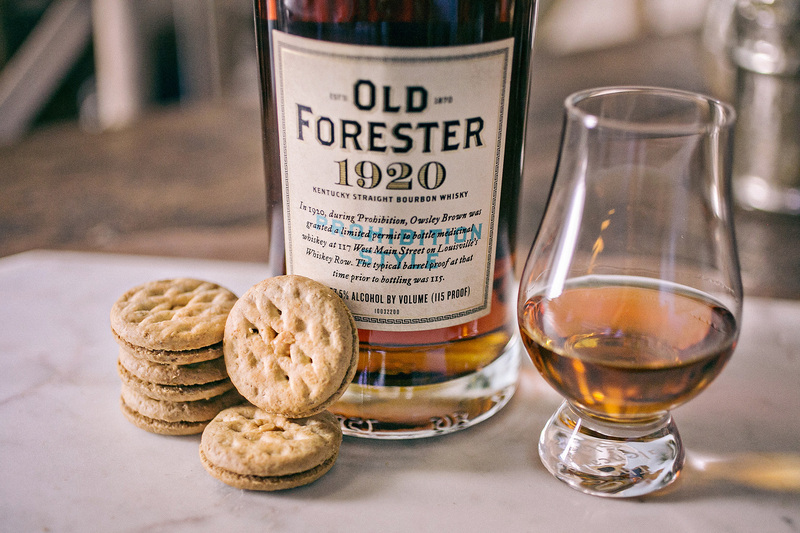 The caramel, coconut, and chocolate flavors in the cookie complemented the oakiness and smoky vanilla of the 21-year old Bourbon. 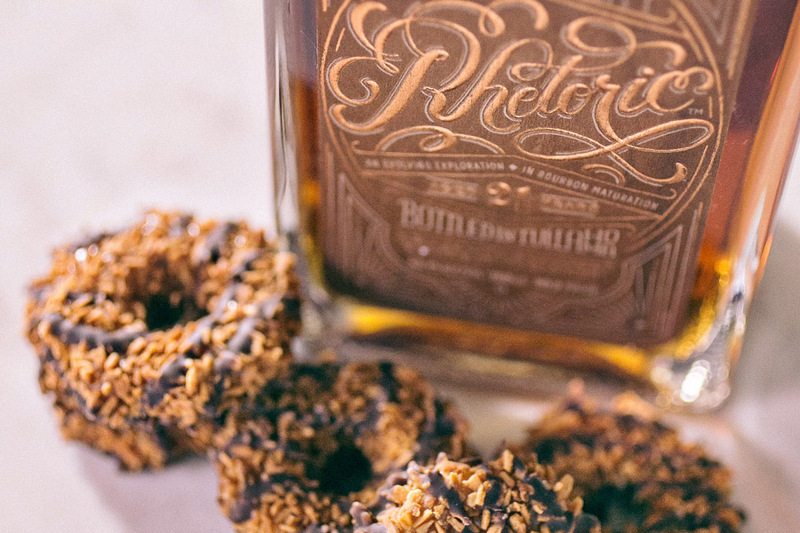 Rhetoric’s bitter chocolate finish lengthens the taste of the Caramel deLite, making this pairing one to savor. A vanilla-inflected confection with lemony frosting on one side, the Lemonade is a delicate being. 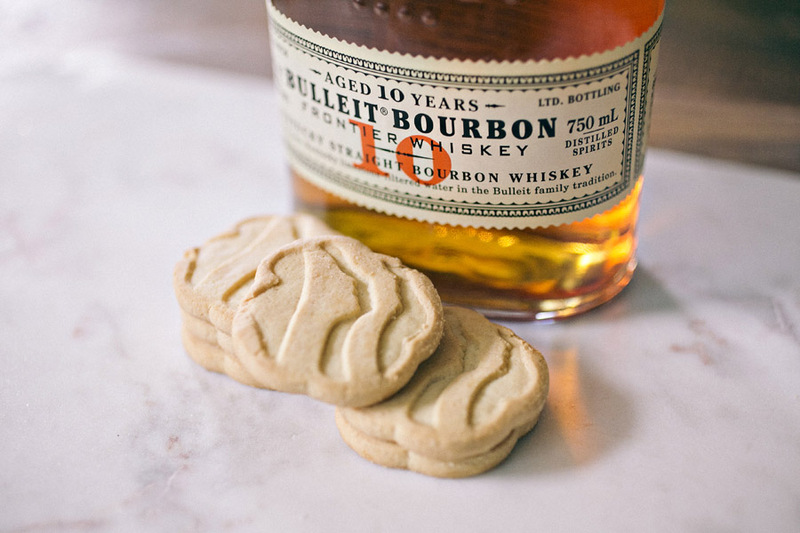 We knew that a complex Bourbon would overwhelm the subtle flavors of this cookie. 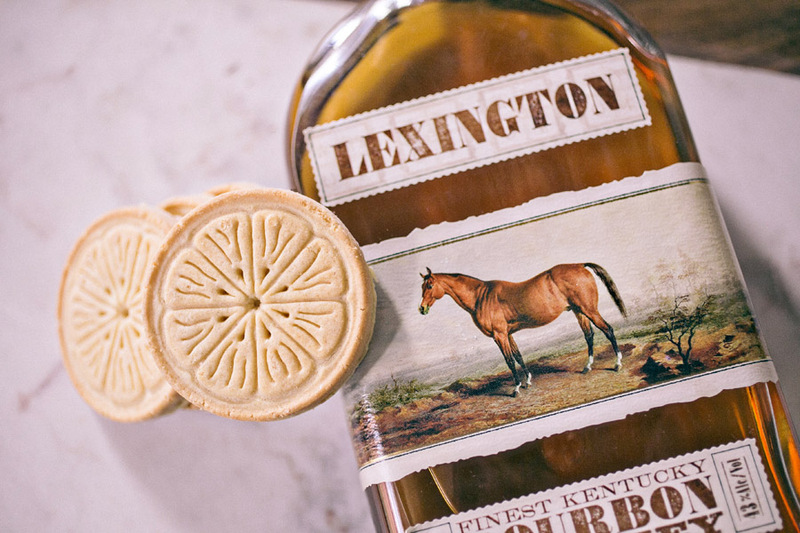 Enter Lexington, a medium-bodied Bourbon with spices, fruit, and vanilla, which brought out the lemony taste of the cookie. As this writer’s personal favorite, this cookie received my special attention (pro-tip: try freezing them.) I thought last year’s pairing of Johnny Drum would be tough to beat. 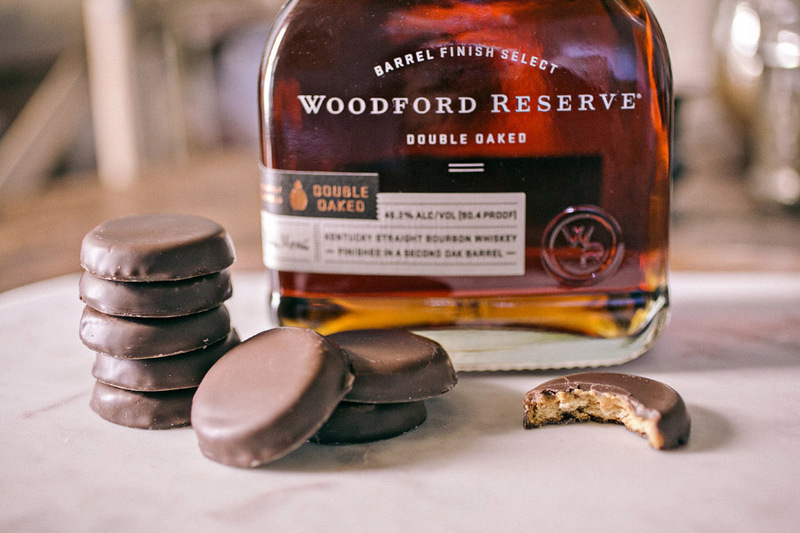 This year, we went in a completely new flavor direction and found that the rich, indulgent tones of Woodford Reserve Double-Oaked provided a soothing, velvety warmth to the Peanut Butter Patties. Rather than compete, this duo choreographs beautifully, with the Woodford proving a strong yet tender partner for this luscious cookie. To cut through the richness of the peanut butter “meat” of the sandwich, you’ll want a higher proof Bourbon. 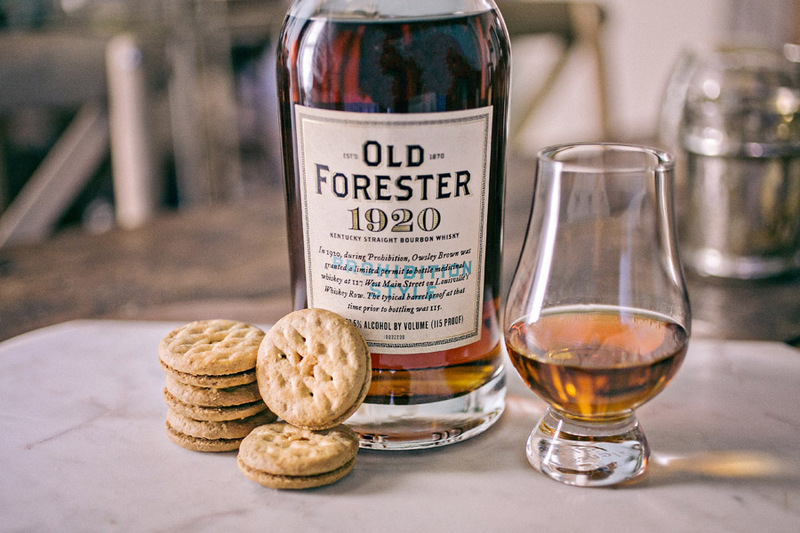 The 115 proof Old Forester 1920 Prohibition Style Bourbon is young and feisty, with toasted nut notes and a creamy finish that will balance the thick mouthfeel of the PB Sandwich and freshen your palate. Go easy with this one, as it packs a Prohibition-style punch. Bulleit Bourbon 10 Year Old, Bulleit Distilling Co. Buttery, sweet Shortbread. You need someone deep and dependable for your vanilla ways but also sharp enough to keep you interested. Our matchmaking recommendation is Bulleit 10 Year, a smooth customer with a biting sense of wit. 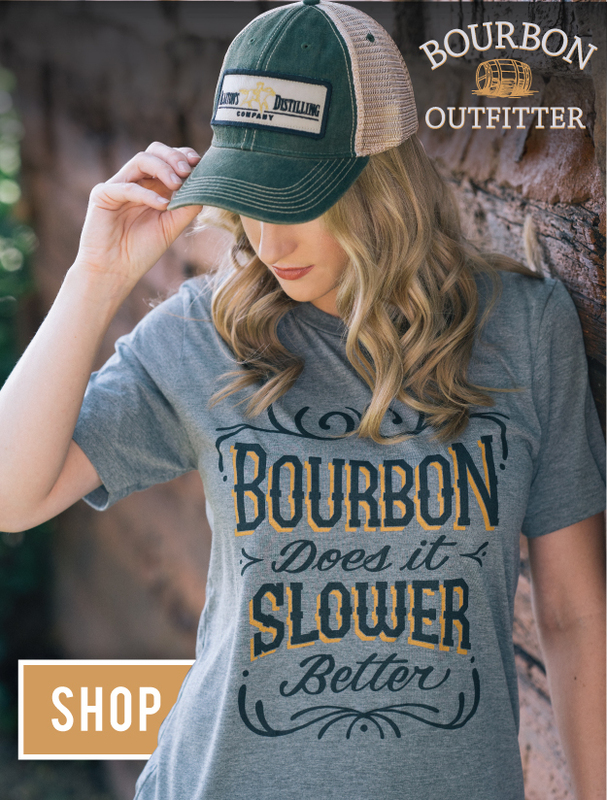 The high-rye content balances you out, and Bulleit 10 Year’s clean-cut demeanor with mild spice makes the Bourbon presentable enough to meet your parents. With the gracious nature of this chocolate shortbread treat, we set her up with an elegant, crisply-dressed date. Eagle Rare has pedigree and ambition without being intimidating, sweetness without being clingy, youth with the benefit of maturity. Perfect for Thanks-A-Lot’s mixed predilections. Eagle Rare may be notorious for a lingering finish, but we found that Thanks-A-Lot enjoyed the visit. 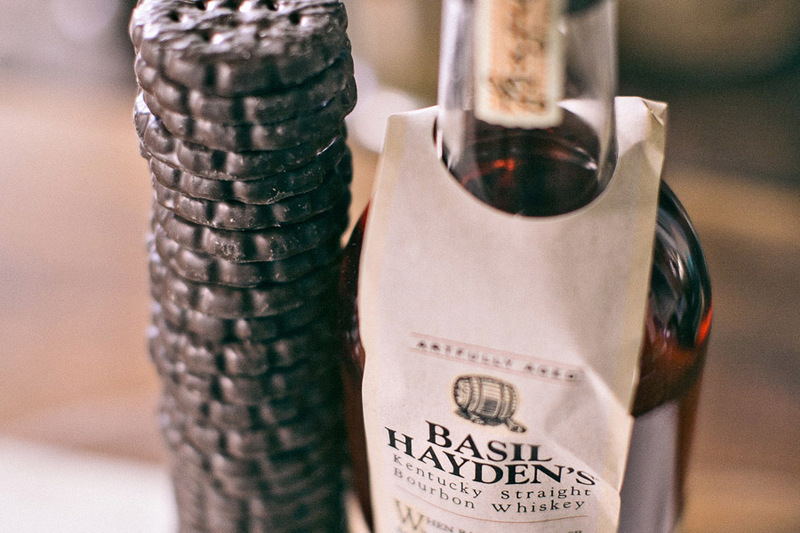 Basil Hayden’s, Jim Beam Brands Co.
And so it was decreed, “What the Bourbon fates have joined together, let no Bourbon writer put asunder.” You just can’t mess with a good thing, folks. 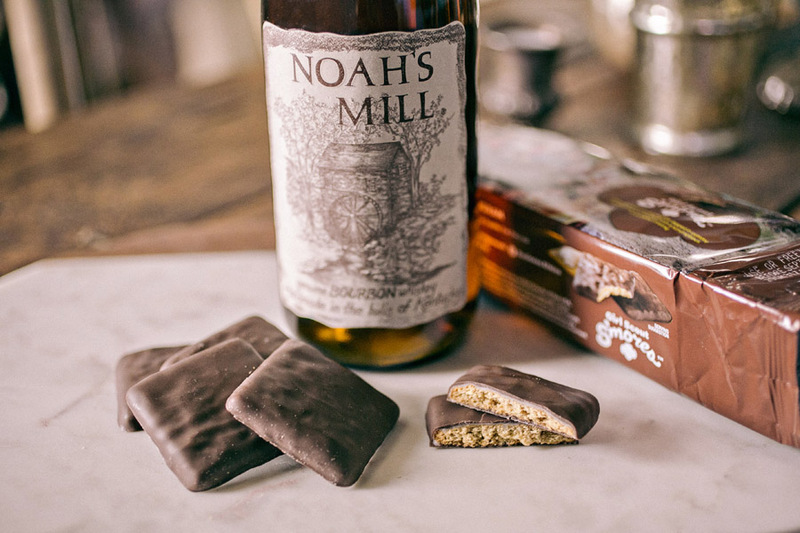 While we tried to be as open-minded as possible, even new palates have found that the pairing of the highest-selling Girl Scout cookie and a 200+ year Bourbon tradition is now a classic. This refreshing minty combination will leave your taste buds tingling (and much fresher breath than some of the other pairings). If we were to have a Hall of Fame for pairings, this would be the first inductee.